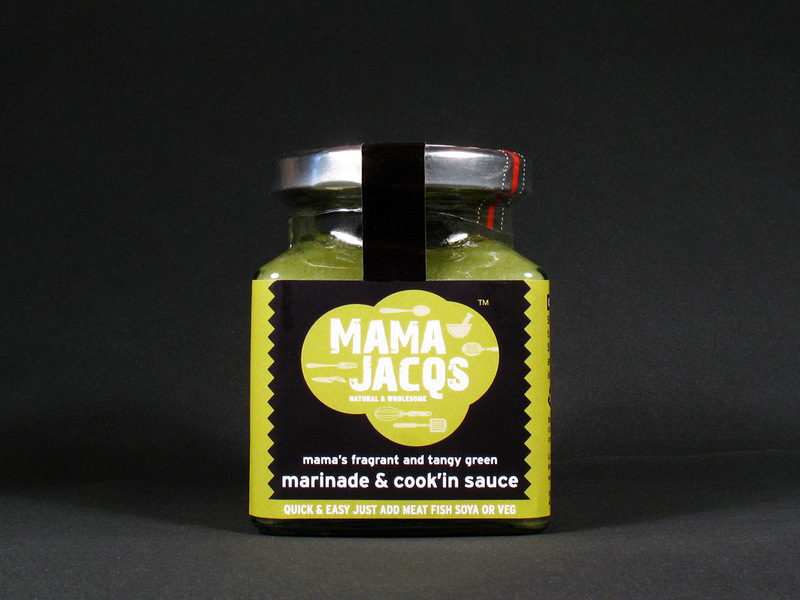 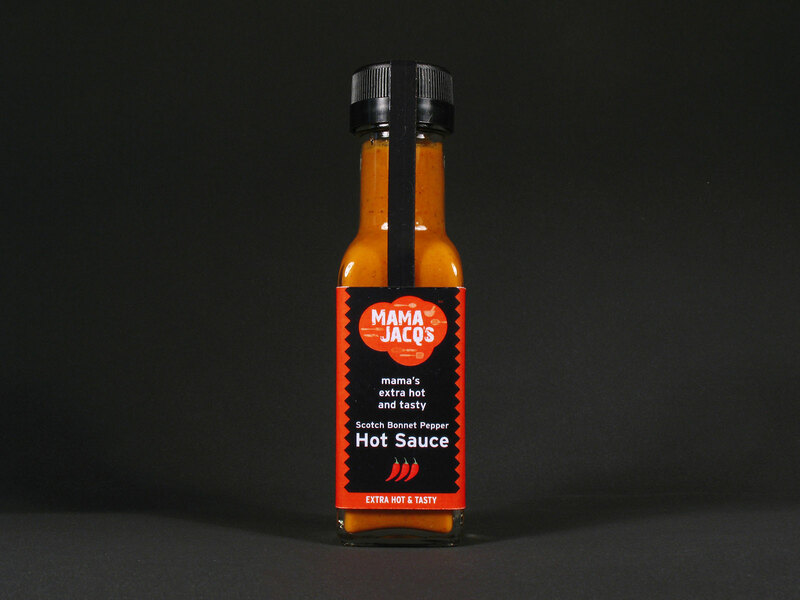 Mama Jacq’s are a British based producer of natural and organic marinade and cook’in sauces. 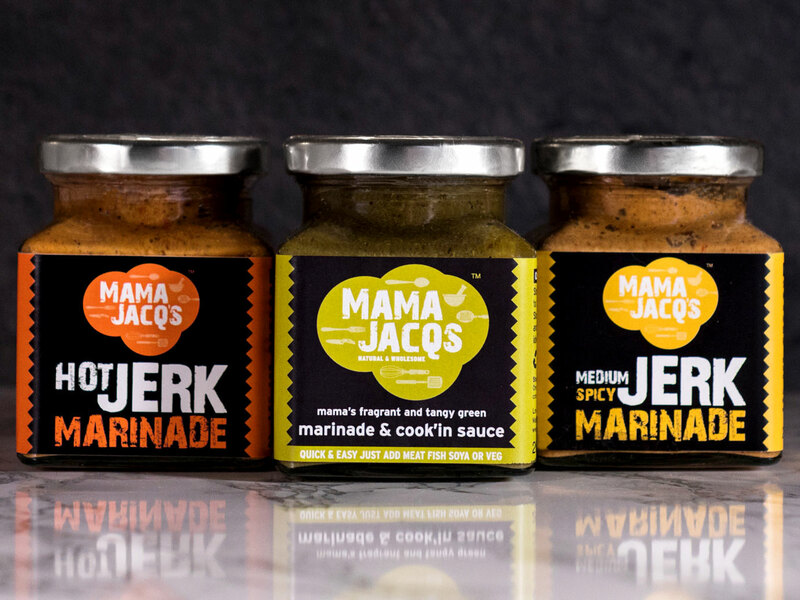 Clinton Smith created a strong and bold brand identity for this start up company which was bright and fun with an organic shape and a chalk board/handmade feel to represent its natural and organic credentials, and to convey an overall feeling of a simple and easy to use product when applied to all product packaging labels. 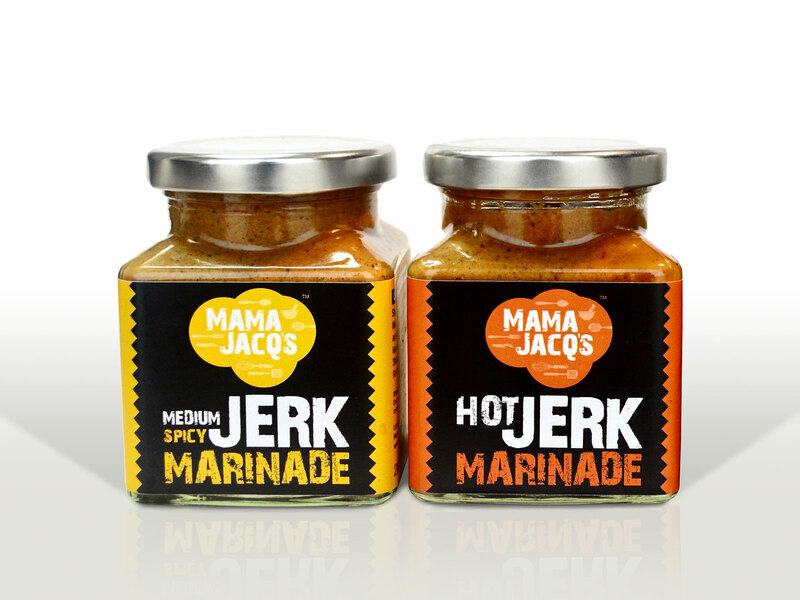 Following the creation of a strong and bold Mama Jacq’s brand identity, the team at Clinton Smith designed product labels for their range of jars and bottles available for sale, including marinade, hot & spicy, and jerk sauces.